New Modular Breathing Apparatus Technology from MSA Creates Broad New Options for Firefighters as Company Unveils M1 SCBA at French Firefighters Congress. Until recently, a one-size-fits-all approach for firefighter respiratory protection might have been considered the norm. However, no two fire stations are alike, and each has differing needs, preferences and expectations of their protective equipment. This understanding served as the key driver behind the development of a new and innovative self-contained breathing apparatus (SCBA) platform – called the M1 SCBA – that was unveiled today at the 125th French Firefighters Congress by MSA Safety Incorporated. The M1 SCBA is fully customizable and can be configured to meet a broad range of firefighter needs and brigade budgets. It is the result of a three-year product development initiative and countless hours of voice-of-customer research. 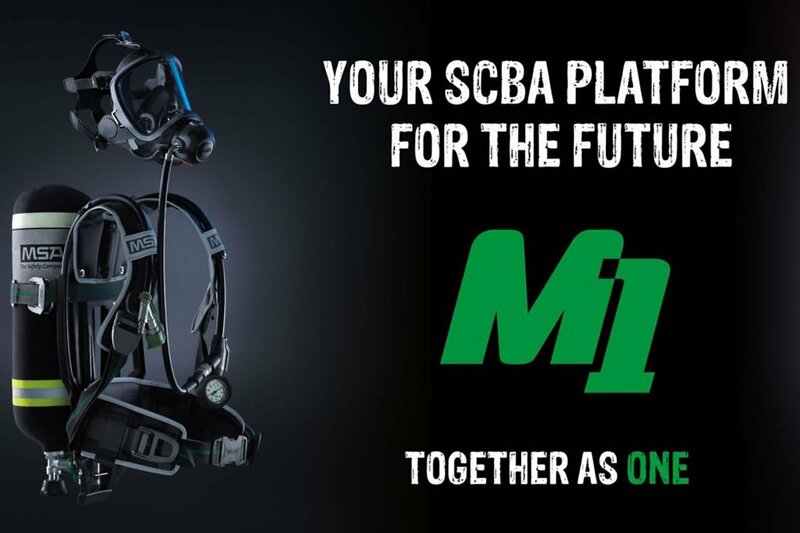 Overall, the M1 SCBA represents the most advanced, ergonomic and modular SCBA that MSA has ever introduced to the European and International markets. Designed to meet the European Norm 137 (EN137) safety, health and environmental protection standards, as well ATEX intrinsic safety standards for usage in hazardous or explosive atmospheres, this all-new SCBA platform includes several innovative and customizable features that help to enhance hygiene and improve ergonomics and comfort. These include a padded harness that is fully water-repellent, making the entire SCBA system machine washable without disassembly; the industry’s lightest-weight backplate, with a unique one-handed height adjustment; and an advanced hip belt that evenly distributes the weight of the SCBA. Additional features that help to reduce the overall cost-of-ownership include a high-pressure cylinder connection for fast cylinder exchanges; configurations with and without integrated electronics and telemetry; and compatibility with MSA’s industry-leading G1 facepiece. For those who desire enhanced voice transmission, a new state-of-the-art communications system, called the C1 headset , is also available and easily attaches to the outside of the facepiece. With a 10 year warranty, all components of the M1 SCBA are designed for longer-life and are field replaceable without requiring the use of tools. “Our commitment to the fire service is long standing,” added Bob Leenen, President of MSA International. “We’re proud that we’ve been protecting fire brigades all around the world for so many years, and are thankful for their continued trust in the MSA brand. The M1 SCBA is very much a game changer when it comes to both respiratory protection performance and customization,” he said. Mr. Leenen noted the company expects to begin production of the M1 SCBA by the end of 2018.